Valentines Day Special feat. Soulmate will live at Hard Rock Cafe, Bangalore. 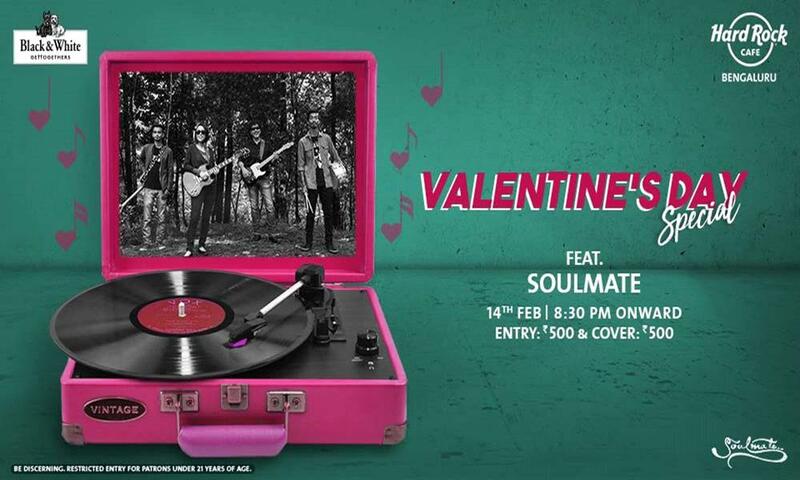 The blues rock band, Soulmate is featuring their finest show at Hard Rock Café, Bangalore. They are frequently teaming up with session musicians (on drums, bass, organ and possibly other backup instruments) when on tour. The event will live on 14th February 2019 from 8 pm onwards. Come to Join with your loved ones!